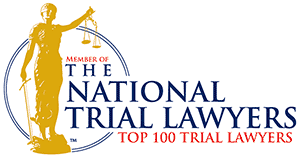 2018- 2000 "Best Lawyers in America" in medical negligence, employment law, white collar criminal defense and non white collar criminal defense. 2018-2012 Best Law Firms in America- U.S. News and World Report. 2018-2001 Superlawyer-Washington Journal of Law and Politics, inclidung Top 50 women honor. 2018-2007 Charter Fellow, Litigation Counsel of America, New York, NY; speaker introduction, Litigation Counsel of America "Induction of Fellows" seminar, Nov 1-2, Scottsdale AZ. ; Washington State Delegates Co Chair . This NYC originated organization seeks to identify and unite currently effective top flight trial lawyers from around the country. 2017-2010 Spokane Washington's Top Lawyers, Spokane Couer d Alene Living Magazine; 2012 Feature article. Lawyer of the Year, 2012, Spokane, WA. Labor and Employment Litigation,Best Lawyers in America,. Three time nominee to the Washington Criminal Defense Lawyers Board of Governors. Last served term, June 1996. 2006- 2009 Hired by ABM Industries, Inc. (NYSE:ABM) as their "Champion for Change" to assist the company and its 74,000 diverse employees in monitoring and addressing any potential employment discrimination/glass ceiling issues, and in promoting and creating methods for change and continued integration among all employees at all levels. United States District Court, District of Minnesota (Minneapolis, March 2007) Francis Sandoval, et.al v ABM Industries, Inc.
Duey v. The Clinton Group, Inc. In re Marriage of Zier, 147 P.3d 624 (Nov. 2006), petition for review filed Dec 21, 2006. Momb v Ragone, 132 Wash. App. 70, 130 P.3d 406 (Div III, March 14, 2006). Wynn v Earin, 131 Wash. App.28, 125 P.3d 236, 2005 WL 3498336 (Div III, Dec 2005), Set for Supreme Court hearing February 2007. Kimpel v. KImpel, 122 Wa.App. 729, 94 P.3d.1022 (Div III, 2004). In re Marriage of Griswold, 112 Wa. App 333, 48 P.3d 1018 (Div III, June 2002), Petition for review denied. October 20, 2009: if I Had Known Then: Thoughts from Seasoned Women of the Bar, Bench and Legislature, guests Senator Lisa Brown, Speaker Lynn Kessler, Hon. Kathleen O'Connor, and Mary Schultz; WSAJ presentation, Spokane, WA. Washington State Trial Lawyers Assoc. Seattle, Washington. "Self Defense Verdicts in Assault Cases"
"Best of WSTLA series - Juror Questionnaires for Criminal Defense Voir Dire"
"Utilization of Staff in Family Law Cases"
Chairperson: "Criminal Law in Review"
"Investigation of a Sexual Abuse Case"
"The Struck Jury System in District Court"
"Investigation, Preparation and Discovery in a Domestic Violence Case"
"Civil Liberties in the Classroom"
"Civil Rights in the Jail"
"The Struck Jury System in Criminal Cases"
"Challenging Medical Evidence, and member of panel on discussion of `Theory and Practice: Practical Responses to Complex Issues'"
"A Philosophy Approaching Dependency" and "Challenging Medical Experts"
"Medical Evidence in Child Sexual Abuse Cases: Cross-Examining the Experts"
Employment background prior to Mary Schultz Law P.S. Regional Tournament: Boulder, Colorado, 2nd place team, 2nd place brief, individual oralist, top 10 honors. Goju Ryu karate, intial shodan ranking received in Naha Okinawa in 1987 from Eiichi Miyazato, head of Jundokan, with subsequent rankings since until his death. Tournament participation from 1986 through 1990- trophies and rankings in New York city, Reno, and across the Northwest including grand championship trophies (combined men and women's division - i.e. tournament champion), Chicago L.A.M.A. National Tournament - 1986, Chicago, Illinois, 5th place women's black belt forms, and Western Regionals - Reno, Nevada 1987, 4th place black belt forms combined men and women. Intramural sports throughout law school, including league championships in basketball, football, and softball. Mountain climbing: Mt. Olympus, Greece 1991, Mt. St. Helens, Washington, August 10, 2002 and Mount Adams 2004. Listed in Various Registries: Who's Who, Who's Who of American Women, Who's Who of American Executives, Who's Who of American Professionals, Metropolitan Who's Who Among Executive and Professional Women, Honors edition, Metropolitan Who's Who Among Executive and Professional Women in Law, Honors Edition, etc. etc. since 1988. Travel: Extensive nationally. Internationally includes extended time in Greece,Okinawa,Mexico, the Baja; lesser time in Turkey, Jamaica, Guatemala, Nicaragua, South Korea, Thailand, Spain, Bahamas.